Dr. Phylis Wakefield | Psychologist, Women's Recovery Coach, Speaker, Author > Blog > Recovery > Immunity Boost! 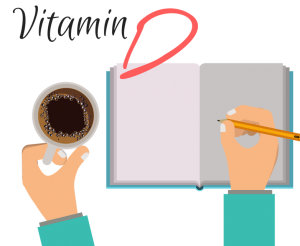 Don’t Forget these 5 ‘Mental Health Vitamins’ for a Healthy Holiday Season! This time of year, most people are adding ‘immunity boosts’ to their smoothies, taking extra Vitamin C, getting flu shots, going to yoga, and filling their purses and kids’ backpacks with Purell! Good nutrition, regular exercise and dietary supplements are certainly beneficial to staying healthy during the upcoming cold and flu season. October through January is also the holiday season, as we celebrate Halloween, Thanksgiving, Christmas, Hanukkah, Kwanzaa, New Years and various other traditions. While the holidays often spark excitement and joy for most people, many others are struggle during these Fall and Winter months. Celebrating the holidays without family members who have passed during the year, spending Thanksgiving for the first time alone after a divorce or breakup, or experiencing seasonal depression are all challenges we may face during this time. For me, as the trees start to change color, the weather gets cooler and the calendar days tick by, I am acutely aware of some ‘anniversaries’ that are coming up. Three years ago on November 15th, I was diagnosed with breast cancer, and while I am thankfully healthy and cancer-free today, this time of year is a reminder of some of my most difficult days. The stark contrast of yellow and orange leaves clinging to the blackened tree limbs along Highway 12 in Glen Ellen remind me of the catastrophic fires from last year. Posts on Facebook remind me of anniversaries of hurricanes, mass shootings, and the overwhelming and grievous state of our country politically right now. Despite my attempts to shield myself from the news and social media, this is a lot to take in on a daily basis. Breathe. It’s a lot to read in a paragraph. Breathe. Stress causes an increase in cortisol – the “stress hormone” in the body. It has long been known that increases in cortisol can impair the immune system, putting us at greater risk for catching that winter cold or flu, experience depression, anxiety, and gain weight https://www.everydayhealth.com/cortisol/guide/. 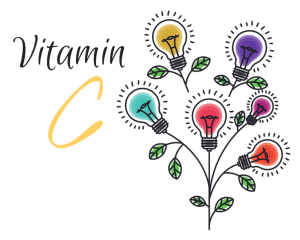 The good news is that there are a number of practices that can reduce cortisol and help us strengthen our immune system – for better physical and mental health! Replenishing my spirit and creating my own ‘mental health’ immunity boosts and shields has become an essential practice in my day to day life. Please read on for a few of my favorite ‘best practices’ when it comes to staying mentally and emotionally healthy – during the most difficult times of the year. BUILDING RESILIENCE is critical for staying healthy. We can build resilience by eating healthy foods, drinking plenty of water, getting more sleep, and learning how to expand our ‘Window of Tolerance’ (Siegel,1999; Ogden & Fisher, 2015). The Window of Tolerance is the optimal arousal zone in which we thrive – we can think and feel simultaneously, we can be flexible, adaptive, responsive and present. Mindful Breathing and practicing Mindful Awareness are tools to help widen this window, build resilience and allow us to be more receptive and flexible, less reactive and rigid in our responses to stressors. BREATHE …BREATHE …BREATHE…Right now, before you continue reading, take one long, deep breath. Exhale slowly. A great practice is to just stop and take a deep breath, focusing on the breath as you inhale to a count of 4 * hold for a count of 2 * exhale to a count of 6. Allowing for a longer exhale helps regulate the vagus nerve which is a major player in the parasympathetic nervous system which is responsible for “rest and digest”, slowing our heart rate, conserving energy, and intestinal and glandular activity. Breathing is the most beneficial and easily accessible *wink* technique to help reduce stress and bring us back into a centered, grounded place, ready to re-engage with the world. There are many apps, including my favorite, CALM and HEADSPACE as well as numerous free videos on YouTube that can help you learn to breathe, to meditate and relax. BE MINDFUL …Stress is often induced when our minds are allowed to wander …wander to all of the things that we have yet to do, have failed at, regret that we have done, and are afraid of doing. Basically, stress is induced by our own judgement machine – our brain. Learning the practice of ‘mindfulness’ is learning to observe, notice, and bring our attention to something with curiosity instead of judgement. Dr. Daniel Siegel, a clinical professor of psychiatry at UCLA and renowned expert in mindfulness and the mind-body connection, describes mindful awareness as “a way of intentionally paying attention to the present moment without being swept up by judgments” (Siegel, 2011). There are many resources available to learn mindfulness, including the apps and YouTube mentioned previously. Here is a link to one of Dr. Siegel’s mindfulness practices: https://www.youtube.com/watch?v=Khri7Zb5iQw. By taking control of your attention, shining your light where you’d like it to shine, you may begin to stop the chatter in your mind that leads to stress and disharmony in your body and spirit. COMMITMENT …A powerful way to set your course for difficult times is to make a commitment to what it is that you WANT …we tend to focus on what we don’t want instead of what we want. So, start with setting an INTENTION statement and ask the universe to support you in creating your intention. “Dear Universe, please support me in my commitment and intention to have a healthy, peaceful, and joyful holiday season. My intention is to move through these next three months with ease, grace and to be fully present for all those in my life, including myself”. Now write your own and set your own course!! CONNECTION…The only way I made it through my challenges with breast cancer was by asking for help and receiving the many blessings offered to me. Asking for help is critical for women – we can’t do it alone and we were not meant to do it alone! Connecting with other women in particular to share our woes, our successes and our challenges with is critical for our mental health. Isolation leads to anxiety and depression. Take a risk and ask a friend out for lunch, a walk or just text each other – stay connected no matter how busy you are! Who are three people you are committed to staying connected with in the next three months? CURIOSITY …staying curious about what is happening around us and within us is critical to our mental health. We tend to live in judgement – of ourselves and others – judging every reaction and decision. Being curious instead helps us stay mindful and present. CREATIVITY …I wrote a blog post last year about ‘stop consuming, start creating’ – an idea I first heard from Brandon, aka The Mad Fientist (link). In times of stress, we tend to start consuming more …food, alcohol, nicotine, responsibilities, work….you got the picture. It doesn’t help that the holidays are filled with Thanksgiving pies, chocolate Santas, wine and cheese events, champagne breakfasts and plenty of holiday cocktail parties. Often too tired to do much of anything else, after all is said and done for the day, we are exhausted and depleted. Common ‘go-to’s’ at the end of day are to have a glass of wine, watch mindless tv, grab a bag of chips, vape, and finish it all off with a pint of Three Twins! Perhaps not all of these at once 🙂 but we tend to consume when we are depleted, an attempt to recharge, fill ourselves back up and be ready to go again in 6 hours (if we are lucky). Unfortunately, all of this consuming has the opposite effect on us and we end up more depleted, more fatigued and run down. Occasionally escaping is wonderful, but when we escape and consume as a habit, it is deleterious to our health. The antidote is CREATIVITY. The next time you are too exhausted to do much of anything, just try to engage in something creative. Write, draw, paint, knit, cook, bake, make a piece of jewelry, sing, or decorate. You don’t have to be “good at it” …you don’t have to be an artist, writer, or interior decorator. You do have to take a leap of faith that engaging in a creative endeavor is actually what you need, rather than that beer, cigarette or ice cream sandwich (or french bread and brie in my case)! Just give it a try – I promise you will not be disappointed! Don’t Forget your Vitamin D : Dare to Take Time for Yourself! Making time for ourselves is one of the hardest things for women to do …kids, partners, work, parents all require attention 24/7 and finding time to stop and take care of ourselves is often challenging. It is also essential. I’m not going to tell you to do it everyday and I’m not going to shame you into starting self care rituals. Yes, both of those could be good for you, but more important is taking time – whenever you can – to breathe, meditate, walk do yoga, read, paint, write, or perhaps, sit and do nothing for 5 minutes! And, I say “dare” to take time for yourself because I do believe it is courageous to put yourself first. It is typically not how we are wired as women, so to step out of the box, to be different, to shake things up, to tell someone “not now” or “no” is bold and daring and essential. I invite you to dare to do ONE THING for yourself TODAY. 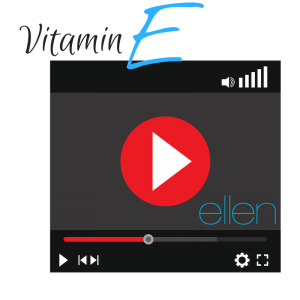 Last but certainly not least, you need plenty of Vitamin E… watch Ellen videos …laugh often and be kind to one another! Laughing changes our brain chemistry, it reduces cortisol and releases endorphins, helps us feel more connected to others and gives us a general sense of well-being – a sense that all is right in the world, even if for a moment! Practicing kindness, random acts in particular, is energizing and restorative. Even watching acts of kindness can give us the warm feelings that we crave and again, gives us a sense that everything is ok and right and good, even if for a moment in time. 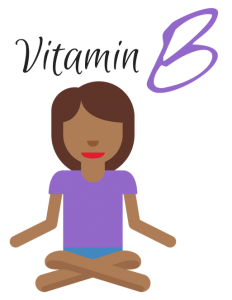 So along with your usual doses of Vitamin B, C, D, and E …how about a little extra immunity boost of these mental health supplements as well: take a deep Build your Resilience, Breathe, Be mindful, , Commit to a new path, set an intention for your well-being, Connect with other women and friends who support you, be Curious, be Creative, Dare to take time for yourself and watch plenty of Ellen …laugh and be kind to yourself and others!